Deep Shine Oil Protective Oil Treatment 4 fl oz. Rusk Deep Shine Oil Argan Oil Treatment Advanced Marine Therapy. Deep shine Oil is an alcohol-free Argan oil treatment that smoothes the cuticle, eliminates frizz, and improves elasticity, leaving hair soft, silky and manageable. This lightweight formula imparts brilliant shine, while advanced marine therapy infuses the hair with superior condition. Deep shine Oil helps seal the cuticle, prevent color fading with subsequent shampoos, and protect against damage caused by chemicals, thermal, styling, and environmental factors. 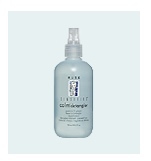 Sheer Brilliance Polisher, adds incredible shine, eliminates frizzies, smooths and refines hair. 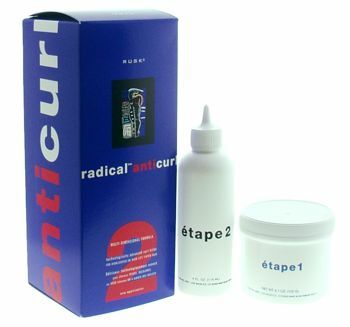 STR8 Anti-Frizz/ Anti-Curl Lotion 6 fl. oz. STR8 internally straightens thick, curly and/or frizzy hair. It is a light, greaseless styling lotion that eliminates frizz and temporarily straightens hair. Brilliance Condioner 8 oz - Other sizes/options. Brilliance Grapefruit & Honey Leave-In Color Protector, Guards fragile, chemically treated hair. Contains Vitamins A,C,and E. Detangles and conditions. Brilliance Condioner Liter - Other sizes/options. Brilliance Grapefruit & Honey Leave-In Color Protects, detangles and conditions, protects fragile color treated hair. Contains vitamins C, E, and A. Calm Guarana & Ginger 60 second Hair Revive 13 oz - Other sizes/options. Calm Guarana & Ginger 60 second Hair Revive, Nurtures troubled, stressed hair. Adds strength and body. Maintains hairs natural moisture balance. Calm Guarana & Ginger 60 second Hair Revive Liter - Other sizes/options. Calm Guarana & Ginger 60 second Hair Revive, Nurtures troubled stressed hair. Adds strength and body. Maintains hairs natural noisture balance. Keratin Care Deep Penetrating Treatment 7.0 fl oz. 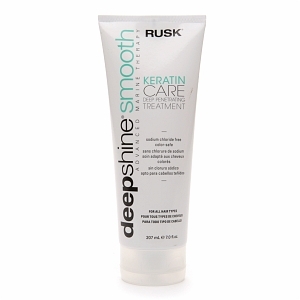 Rusk Pro Elements Keratin Smoothing Treatment is a deep penetrating treatment formulated with natural keratin vitamins and proteins to help improve the strength of hair. Keratin Care Smoothing Conditioner 12 fl oz. Sensories Brilliance Conditioner 8.5 fl. oz. Sensories Calm Conditioner 13.5 fl. oz. - Other sizes/options. Sensories Calm Conditioner 33.8 fl oz. - Other sizes/options. Sensories Pure Conditioner 13.5oz - Other sizes/options. 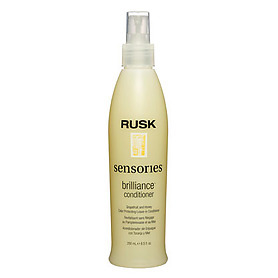 Sensories Pure Conditioner awakens the senses and acts as an energy booster for depressed color. Helps keep color and highlights bold, rich and vibrant. Sensories Pure Conditioner 33.8oz - Other sizes/options. Sensories Smoother Conditioner 8.5 fl oz. - Other sizes/options. Sensories Smoother Conditioner 33.8 fl oz. - Other sizes/options. Smoother Passionflower & Aloe Leave-In Texturizing Conditioner 8.5 oz - Other sizes/options. Smoother Passionflower & Aloe Leave-In Texturizing Conditioner, calms defiant, unruly hair. Provides shine, body and sunscreen protection. Smoother Passionflower & Aloe Leave-In Texturizing Conditioner 33.8 oz. - Other sizes/options. 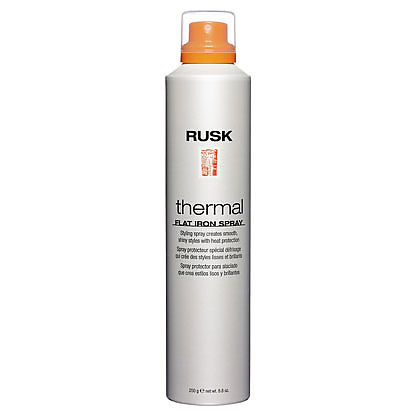 Rusk Thermal STR8 Protective Conditioner is a fast-acting, daily conditioner enriched with UVA/UVB sunscreens and silicones to protect and condition the hair where it is most needed without causing unwanted build-up. Scientifically formulated to eliminate any frizziness and leave the hair smooth, straight, sleek and shiny. Thickr Thickening Conditioner 13.5 fl. oz. Thickr Thickening Conditioner - Strengthens and repairs while significantly increasing the quality and texture of hair. Calm Guarana & Ginger Leave-in Detangler 8.5 fl. oz. For defining and reshaping hair. A non-greasy formula adds texture and hold. Sensories Brilliance Leave In Color Protector 33.8 fl oz. Sensories Calm Cream Detangler 8.5 fl. oz. Sensories Calm Treatment 8.5 fl. oz. 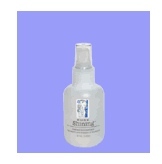 Thermal Flat Iron Spray 8.8 fl. oz. Thermal Shine Spray 4.4 fl. oz. W8less Shaping and Control Hairspray 8.5 fl. oz. Thermal Shiny Str8 (Normal/Tinted) One Application This item is DISCONTINUED by the manufacturer. Thermal Shiny Str8 is a formaldehyde-free permanent straightener that infuses the hair with unsurpassed shine and eliminates frizz. Formulated with keratin, Thermal Shiny Str8 deeply conditions and strengthens the hair, imparting a perfectly straight, smooth and shiny texture never before achieved with a chemical service. 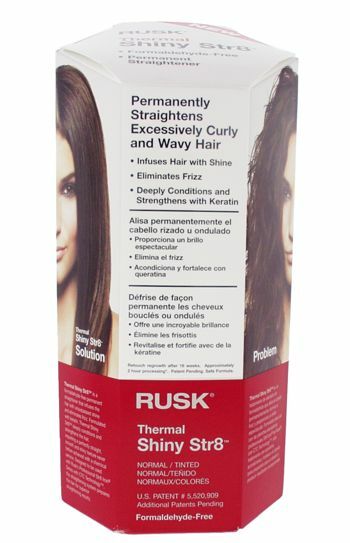 Designed to be used with Rusks Professional Str8 Iron Series with CTC Technology, this straightening system prepares the hair for superior straightening results. Thickr Thickening Hair Spray 10.6 fl. oz. Thickr Thickening Hair Spray - A lightweight formula that delivers lift and firm hold. UV blockers protect color-treated or highlighted hair. W8Less Shaping and Control Hairspray (Extra Strong Hold) Aerosol 10 oz. W8Less Shaping and Control Hairspray (Strong Hold) Aerosol 10 oz. STR8 Thermal Protective Shampoo 8 fl. oz. STR8 Protective Shampoo - Protects the hair from UVA/UVB and heat styling. Leaves hair smooth, silky-soft, sleek and shiny. STR8 Thermal Protective Shine Spray 4.4 oz. 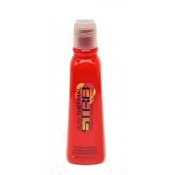 Thermal Str8 - Protective Shine Spray - Condition and protect the hair internally and externally. UVA/UVB suncreens, Thermaplex heat protection, leaves hair smooth, silky soft, sleek and shiny. Jele Gloss Body and Shine Lotion 13.5 fl. oz. Blofoam Root Lifter 8.8 oz. 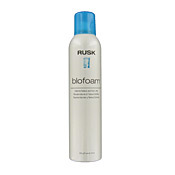 Blofoam - Root lifter - Texturizing foam for maximum styling control and versatility. Mousse Maximum Volume Control 8.8 fl. oz. Plumping Mousse 8.5 fl. oz. A light foam that delivers maximum volume, body and styling control. Hair is manageable, healthy looking and vibrantly shining. Thermal Serum 4.2 fl. oz. Brilliance Grapefruit & Honey Color Protect Shampoo 13 oz - Other sizes/options. Brilliance Grapefruit & Honey Color Protect Shampoo, Guards fragile, chemically dependent hair. Helps to improve and condition and strengthen hair. Brilliance Grapefruit & Honey Color Protect Shampoo Liter - Other sizes/options. Brilliance Grapefruit & Honey Color Protect Shampoo, Guards fragile, chemically dependent hair. Helps to improve condition and strengthen hair. Calm Guarana & Ginger Nourishing Shampoo 13.5 oz - Other sizes/options. Calm Guarana &amp Ginger Nourishing Shampoo, Nurtures troubled, stressed hair. Natural amino acids and panthenol add strength and body. Calm Guarana & Ginger Nourishing Shampoo 33.8 oz - Other sizes/options. Calm Guarana & Ginger Nourishing Shampoo, Nurtures troubled, stressed hair. Natural amino acids and panthenol add strenght and body. Full Green Tea & Alfalfa Shampoo 13 oz - Other sizes/options. Full Green Tea & Alfalfa Shampoo, Invigorates fine, lazy hair. Moistures, strengthens with green tea extracts. Adds shine. Full Green Tea & Alfalfa Shampoo Liter - Other sizes/options. Full Green Tea &amp Alfalfa Shampoo, Invigoprateas fine, lazy hair. Strengthens with green tea extracts and wheat protein, seals in shine. Keratin Care Smoothing Shampoo 12 fl oz. Revitalizing Shampoo for Chemically Treated, Weak and/or Damaged Hair Revitalizes, renews and restores elasticity to weak, dull hair. Natural keratin, vitamins and essential nourishing emollients help prevent breakage and add renewed strength. Formulated for chemically or color-treated hair. Helps protect hair against thermal styling. Keeps hair smooth and shiny. Moist Sunflower & Apricot Extract Shampoo 13 oz - Other sizes/options. Moist Sunflower & Apricot Extract Shampoo Liter - Other sizes/options. Sensories Brilliance Shampoo 33.81 fl. oz. Sensories Calm Shampoo 33.8 fl oz. Sensories Full Shampoo 13.5 fl. oz. - Other sizes/options. Sensories Full Shampoo 33.8 fl oz. - Other sizes/options. Sensories Moist Shampoo 13.5 fl. oz. - Other sizes/options. Sensories Moist Shampoo 33.8 fl oz. - Other sizes/options. Sensories Pure Shampoo 13.5 fl. oz. - Other sizes/options. Sensories Pure Shampoo - Energy boost for depressed color. Mandarin and jamine vibrant color shamoo. Sensories Pure Shampoo 33.8 fl. oz. - Other sizes/options. Sensories Smoother Shampoo 13.5 fl. oz. - Other sizes/options. Sensories Smoother Shampoo 33.8 fl. oz. - Other sizes/options. Smoother Passionflower & Aloe Shampoo 13 oz - Other sizes/options. Smoother Passionflower & Aloe Shampoo, Calms defiant, unruly hair. Soothes and nurtures the scalp. Smoother Passionflower & Aloe Shampoo Liter - Other sizes/options. Thickr Thickening Shampoo 13.5 fl. oz. Thickr Thickening Shampoo - Plumps up the cuticle to increase strength, lift and texture. Being Gutsy Creme 5.3 fl. oz. This item is DISCONTINUED by the manufacturer. Being Gutsy Creme, add texture and body to hair. Being Primitive New Size 1.8 fl. oz. This item is DISCONTINUED by the manufacturer. Being Primitive - Form, reshape, bulk up. Form as your mood dictates. Incredible style memory allows you to shift, distort and alter shapes. Being Rubber 1.8 oz.- CLOSE OUT!!!! This item is DISCONTINUED by the manufacturer. Being Rubber - Manipulate, separate, shine. Untamed raw style with wicked shine. Being Undressed 1.8 oz. This item is DISCONTINUED by the manufacturer. Being Undressed - Shine, texturize and condition. Cross between a wax, pomade & conditioning treatment. Improves shine texture and condition. Being Warped 1.8 fl. oz. 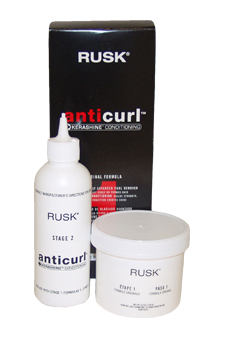 Rusk Being Warped Wax instantly creates thick and chunky texture with incredible shine, edgy definition, and separation on all hair types. Pro-vitamin B5 provides hair with body, condition, and shine. Being Wild Paste, deconstruct, shape and texturize. Define and refine with awesome results. 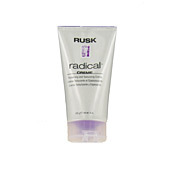 Radical Creme - Thickening/Texturizing Creme for thickening and defining. Shining Sheen and Movement Myst, Adds incredible sheen to any hair type. Penetrates hair fiber to enhance movement and maximize shine. Thick Body and Texture Amplifier 6 fl. oz. 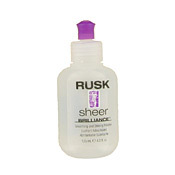 Rusk Thick Body and Texture Amplifier gives fine, limp, lazy hair incredible body, volume and added texture. Contains Thermplex which boosts body and volume from the inside out and wheat protein to add strength and moisture. Wired Styling Cream, Provides flexible body and pliable support while creating incredible texture. STR8 Thermal Protective Flat Iron Spray 8.8 fl. oz. STR8 Protective Flat Iron Spray - Protects the hair from UVA/UVB and heat styling. Leaves hair smooth, silky-soft, sleek and shiny. STR8 Thermal ProtectiveStyling Glaze 6.5 fl. oz.